I was served by the very enthusiastic Alan, do look out for him and he’s a joy to have around. I raced to the counter after leaving the office at 7 (unheard of these days, cough) and promptly told him, much to his amusement, that I want ’24, 25, 27, 28′. Spoken like a die-hard Giorgio Armani ETK fiend! I’m actually quite proud of the photo above – it depicts the subtle nuances between #24 Smokey Copper and #25 Rusted Gold very well. I wore #24 out for a night out, and this is a go-to shadow for dark, mysterious smokey eyes indeed. Fill in your lash line fully, vamp up with mascara and you’re ready to party! Best of all, it held up remarkably well on my oily lids. Look at the beautiful beautiful shimmer/glitter/fairy dust! I can go on and on about the complexities of the shadows, but I fear I’ll run out of words sooner than I think. Just try it, if you haven’t already. 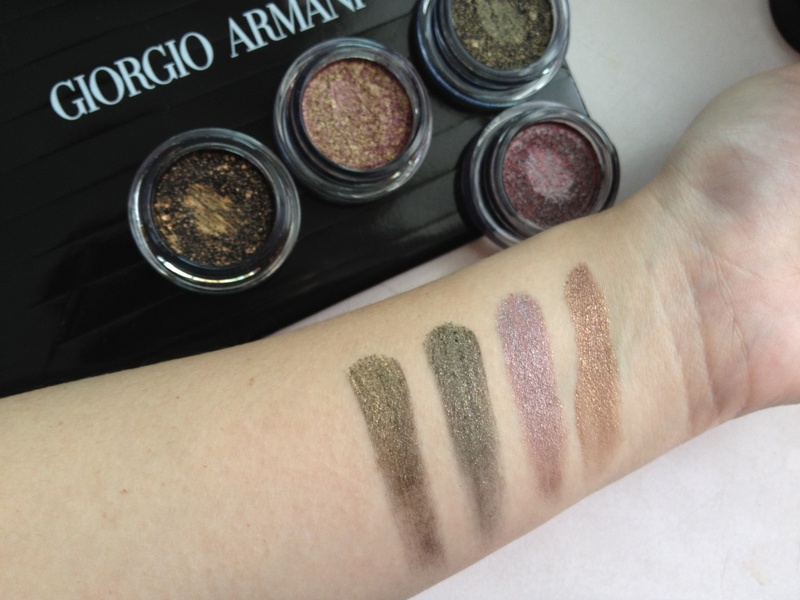 The ETKs are officially the only shadows I would use in this formula, ever. 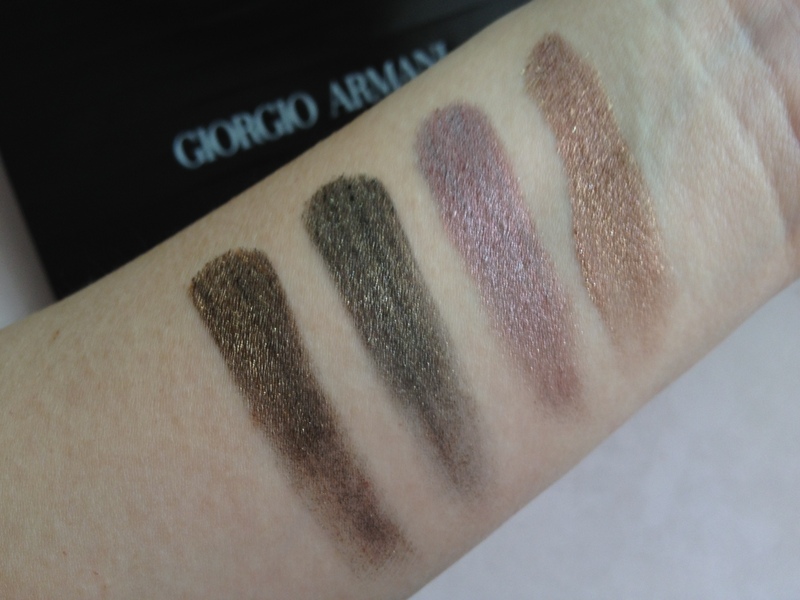 I’ve recently acquired a few of the Chanel Illusion d’Ombre Long-Wear Luminous Eyeshadows pots, and the Armani ones kick them out of the water totally, completely. 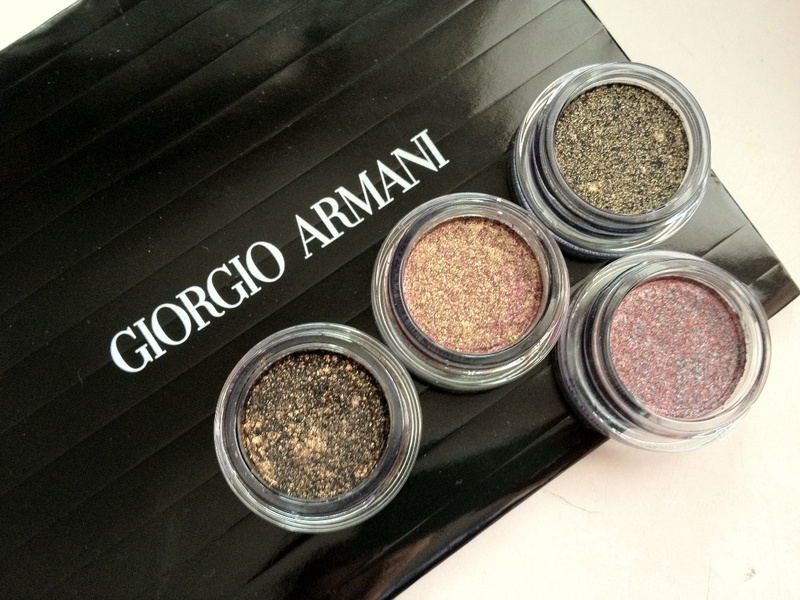 If you ever were caught in a pinch – go with the Giorgio Armani. The new ETKs from the Acqua collection are considerably softer than I remember from their predecessors – I would press with the same strength on say #6 Khaki Pulse and it will barely make a dent in it. 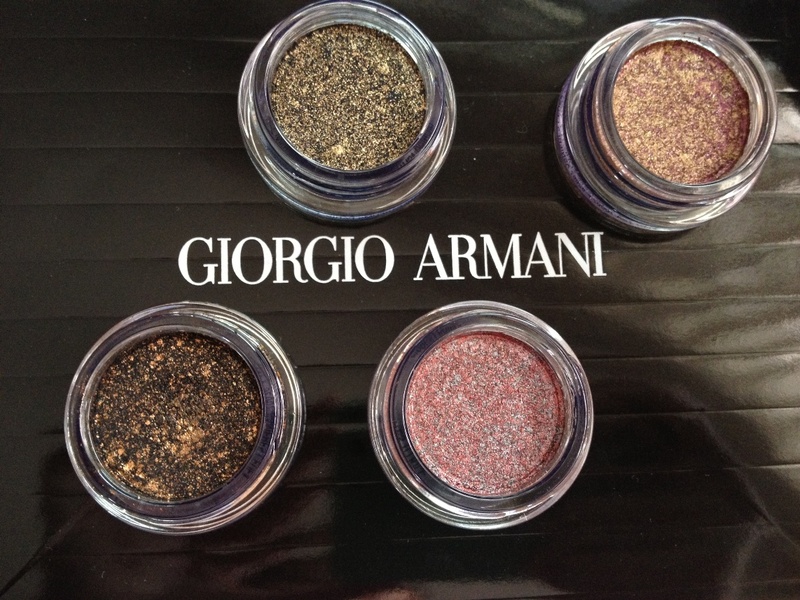 These are soft, not crumbly, though I would say I had a little accident picking up pigment with my freshly-washed MAC 217 brush one morning – it deposited more glitter than colour pigment and wouldn’t blend. That I would blame on my brush and weird eyelids, since my second wear proved awesome. Each of these babies cost S$41.00, and I’d best hurry if I were you to catch ’em all! All Smokey Copper, the one that got away from me, damn it looks so gorgeous. I’m loving my ETKs too, I’m trying to give them equal love buy gosh it’s hard. How about you, what do you do to make sure you use your eTKs. Jacq, you cannot allow #24 Smokey Copper to get away! Must.Hunt.It.Down, expressly forbidden to *live* without it! Such a gorgeous, beautiful colour. I tend to use the ETKs when I know I’m wearing them for a shorter period of time, since I have oily lids that make primers a must-apply. Unfortunately, the ETKs when over the UDPP, lose their magical sparkle *sad face* so this means I don’t get them to see the light of the office much.